For all of you fiber artists and art quilters who have enjoyed taking field trips to local fabric shops while you are here taking a workshop – I’ve got good news and bad news! 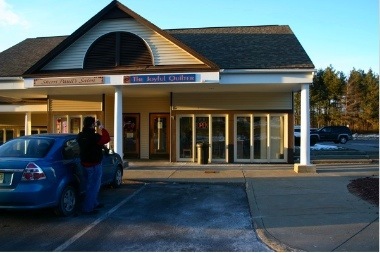 First the bad news, the Woodstock Quilting Supply has closed its doors as of the end of January. Now for the good news! 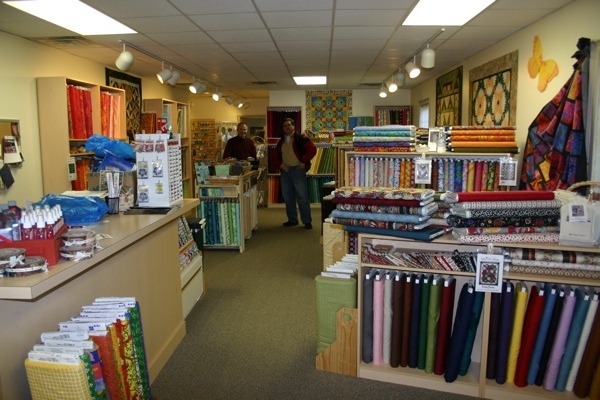 Bob and Jim of Woodstock Quilting Supply have joined forces with Linda, Debbie, and Susan of the Joyful Quilter in Glenville, NY to offer more fabric, longer store hours, and a whole lot of fun. The Joyful Quilter is only about 15 minutes further from our inn than Woodstock, but definitely worth the trip. During our visit, I kept Bob busy cutting fabric that I wanted to purchase. 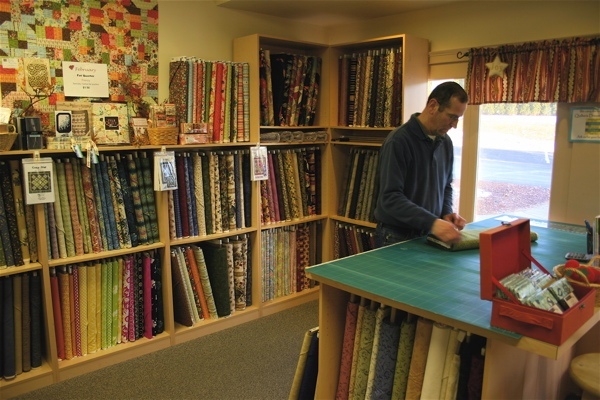 (I don’t get away from the inn for fabric shopping very often, so when I do it is a real treat!) There were so many wonderful fabrics, I had a hard time sticking to just the colors on my shopping list! While I was shopping and chatting with Bob and Susan, Mark was discussing cellphone features with Jim at the other end of the store. Everyone was happy. Our Spring fiber art workshops being with a 5-day workshop with Susan “Lucky” Shie – March 21 – 27. Susan will be teaching “Diary Paintings for Art Quilts. Susan gets rave reviews as a teacher and was even voted Teacher of the Year in Professional Quilters Magazine. Next up is Jane Davila – March 27 – 30. She will be teaching a 3-day workshop titled Layers of Meaning. Jane Davila is the co-author of Art Quilt Workbook, Art Quilts at Play and her latest, Jane Davila’s Surface Design Essentials, by C & T Publishing. 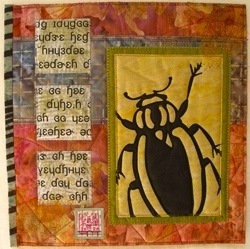 She has also appreared on Quilting Art TV (Episode 500). 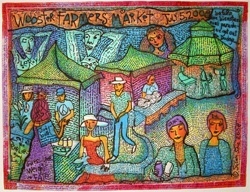 You can see the complete list of 2010 workshops on our fiber art workshop website and our painting workshop website.